COO; SVP, Program Integration and Strategic Planning, United Way of New York City, New York, N.Y.
Elwanda Young brings a long-standing inte-rest in community development and social service to her role as senior vice president and chief operating officer at United Way of New York. Before she assumed that role, she was senior vice president of program integration and strategic planning at the company, overseeing the daily execution of United Way?s community action strategy. 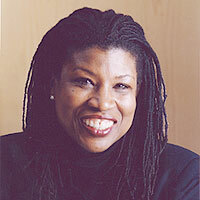 Prior to joining United Way, she was executive director at Elmcor Youth and Adult Activities, a multiservice organization in Corona, N.Y. Today, she is secretary of the board of directors for Black Agency Executives and serves on the Board of Black Equity Alliance, Make the Grade Foundation and the Faith Center for Community Development. Young holds a B.A. from York College. Throughout her career, she says, she has been motivated by the words of an anonymous speaker: ?When you come to the edge of all the light you know and are about to step off into the darkness of the unknown, faith is knowing one of two things will happen: There will be something solid to stand on, or you will be taught how to fly.? She attributes her professional achievements to a combination of experiences and individuals, notably her grandmother, who lived to be 92. ? [When I was] a child, my grandmother placed a message in my mind that I can be, do and have whatever I choose in life,? she says. She continues, ?Three people at United Way of N.Y.C. provided me with an opportunity to grow personally and professionally?Lawrence Mandell, president and CEO; Ralph Dickerson Jr., former president and CEO; and Lilliam Barrios-Paoli, executive director of Safe Spaces Inc.
Young is convinced that her life?s purpose is service. Accordingly, she lives her life by the counsel of Mahatma Ghandi: ?Be the change that you wish to see in the world.? She considers motherhood as her life-defining experience, so much so that, in addition to her biological daughter, she has adopted three children from Ghana. In time, she says, she ?would love to travel and spend long periods of time immersing myself in the culture, religion, healing modalities and traditions of African countries. ?